We keep holding on to the #1 statement for Harvard University students — if you fall asleep now, your fancy will appear in dreams, for sure. Although, if you prefer studying to sleeping, your fancy will come true. It is believed that summer is a time of business activity decline. People are going on vacation and businesses slow down. Here, at InVeritaSoft summer is an opportunity to have a nice rest as well as create a foundation for further accomplishments. It's time when we build and create. We keep holding on to the #1 statement for Harvard University students — if you fall asleep now, your fancy will appear in dreams, for sure. Although, if you prefer studying to sleeping, your fancy will come true. 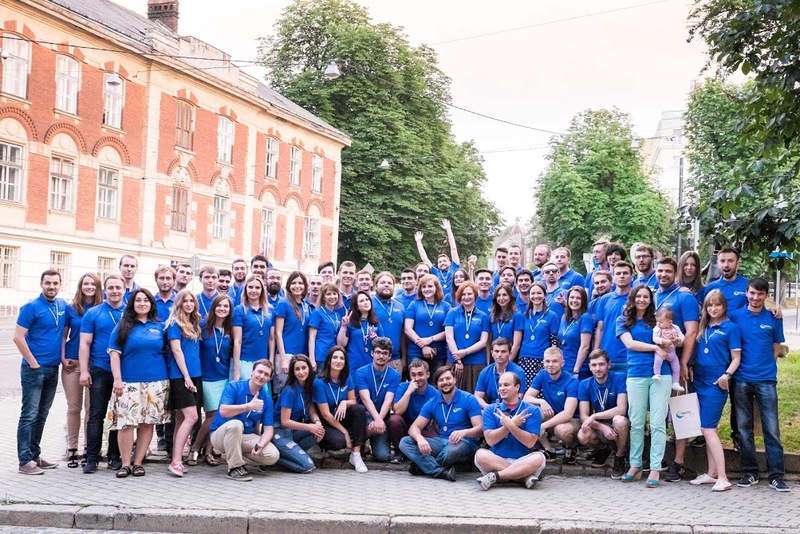 We want to become stronger and wiser to complete "To be the Face of Ukraine for the rest of the World" mission which is the main goal of inVeritaSoft. Building the company of the future always presupposes setting the cornerstone and all other stones in reference to establish a strong foundation. In 1998, Juventus-Club management team decided to sell then the most expensive world football player and Golden Ball owner, Zinedine Zidane. All fans around the world were not fond of this decision. By the way, I was one of those fans at my 16. However, this choice allowed Juventus-Club to get five new players. Pavel Nedvěd, Lilian Thuram, Fabio Cannavaro, Filippo Inzaghi, Gianluigi Buffon have become superstars. New opportunities opened the doors of changing the team's game model, making it more versatile and faster. Thanks to this decisive step Juventus-Club entered the world history of football for good. This is a vivid example of how the processes change in football. At inVeritaSoft it happens due to the changes in the interaction between the existing "players" of the Team. We’ve made an Analysis of Company Financial Indicators. Once I’ve read a quote: "Growth means not only changing but remaining yourself." Whatever plans, ambitions or goals we may have, inVeritaSoft will remain inVeritaSoft, as long as we all share "... it's all about People " philosophy at all levels of the company development. Thanks to what we’ve already done, our lives became brighter and it is the main purpose of company development. inVeritaSoft Foundation. We are developing inVeritaSoft fund for charity and social projects. The Third Stone: Here and now. Living by the ideas and the future, may we not forget about the present. 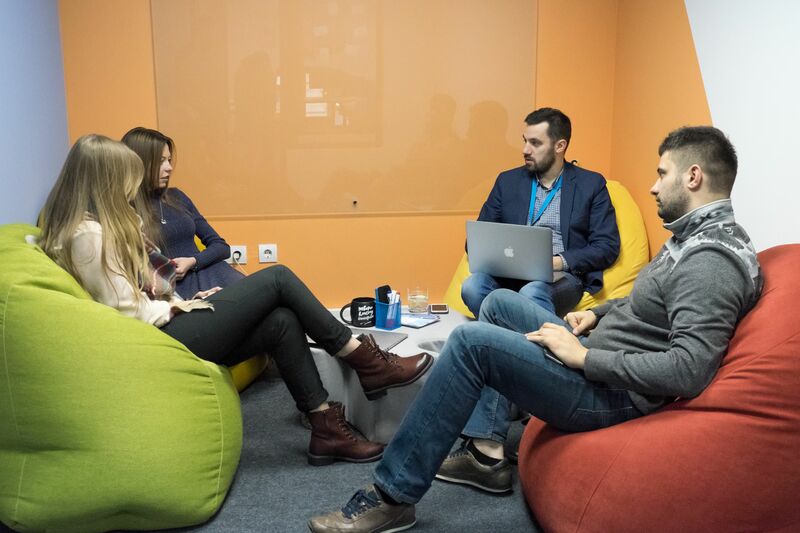 inVeritaSoft had one-day "The Master of Negotiation" training, Design Knowledge Sharing ("VR & AR Design" and "Fundamentals of Sketch") and non-Development Knowledge Sharing. inVeritaSoft mentor team came up with an idea to study some video materials together and have a hot discussion each month. We strongly believe that professional support will definitely help each of us grow, achieve high performance, and get to know each other better. USA / Chicago Business Trip. The aim of the inVerita-Solutions is to consciously improve the services we provide. And the last, but not the least - we are 100 now! Some people say, “Summer is a difficult season for us". Maybe. However, reviewing our company life it looks different. Where someone can see a reason, another can notice an opportunity. It’s all about your attitude.